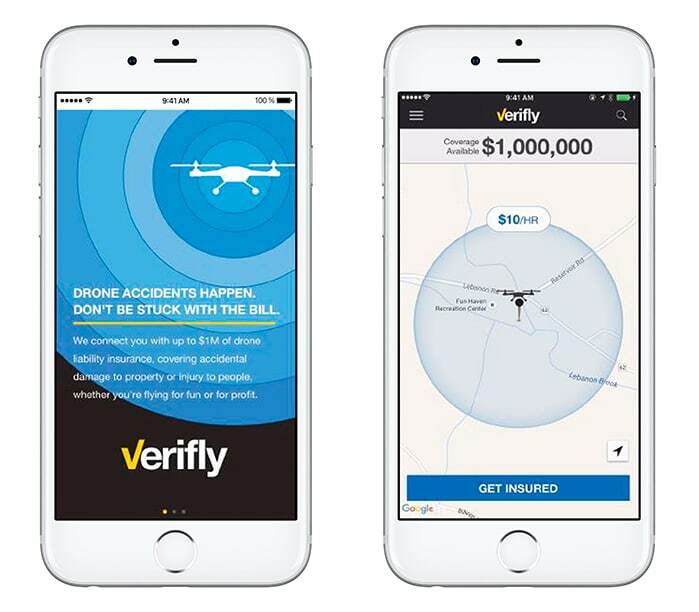 Global Aerospace has come together with Verifly to deliver on-demand drone insurance in the U.S. starting at $10/hour through a simple, easy-to-use app for recreational and commercial users. The app combines mapping technology and real-time conditions to advise unmanned aerial systems (UAS) users of potential flying risks. Verifly users can purchase third-party liability insurance instantly through the simple and intuitive app, with all policies underwritten by Global Aerospace, Inc. The Verifly app is currently available in the U.S. for iOS and Android devices. Don’t run the risk of being uninsured, see how easy Verifly is today! !